LAS VEGAS, Nev. – The No. 10 Seward County volleyball team went unscathed in Las Vegas, picking up four wins at the Lady Coyote Volleyball Invitational. Seward defeated (RV) Yavapai 3-1 and No. 4 Salt Lake 3-0 on Friday, before sweeping Chandler-Gilbert and Southern Nevada on Saturday. Seeking revenge for an early season loss, the Lady Saints jumped out to an early 7-3 lead. Passing errors allowed the Roughriders to close the deficit to two points at 16-14, but the Lady Saints clamped down, preventing Yavapai from getting any closer. Seward pushed the lead back up to four points beginning with a Giovanna Tapigliani<http://sewardsaints.com/sports/wvball/2018-19/bios/tapigliani_giovanna_2gbk> kill, to win the set 25-21. After falling behind 4-1 to begin the second set, the Lady Saints quickly went on an 8-3 run to take a 9-7 lead and force a Roughriders timeout. The timeout slowed the Lady Saints momentum, as the teams split the next 10 points before Yavapai took the lead following three straight Seward errors. The run forced a Seward timeout as the Lady Saints tried to regroup. Down two points coming out of the time out, the Lady Saints tied the match at 20-20, eventually retaking the lead 22-21 with a Djuly Schmorantz<http://sewardsaints.com/sports/wvball/2018-19/bios/schamorantz_djuly_4zhh> kill. The lead wouldn’t last however, as the Roughriders scored two straight, forcing another Lady Saints timeout. Seward tied the set and forced extra points, but it was the Yavapai who came out on top 28-26 to tie the match at one set a piece. It was a tight third set, as the Lady Saints held just a two-point advantage through the first ten points, 6-4. The two sides continued to spar, as the set evened at 13 points. Following a Giovanna Tapigliani<http://sewardsaints.com/sports/wvball/2018-19/bios/tapigliani_giovanna_2gbk> kill and Luz Sierra<http://sewardsaints.com/sports/wvball/2018-19/bios/sierra_luz_az6i> block, Nathiellen Machado<http://sewardsaints.com/sports/wvball/2018-19/bios/machado_nathiellen_n626> came away with two aces to give the Lady Saints a four-point lead as the Roughriders called a timeout. The timeout stopped the initial bleeding for Yavapai, but Seward closed out the set on a 8-4 run to win 25-19. Seward jumped out to another 6-4 lead to begin the fourth set. After Seward took an 8-5 lead, the Roughriders rebounded with a 4-0 run to take command of the set. The Lady Saints responded by going winning seven of the next eleven points, taking a three-point lead with another Machado ace. The three point-cushion was all the Lady Saints needed as they won set four 25-21. The Lady Saints were led on offense by Tapigliani, Sierra and Schmorantz who all had phenomenal performances. Tapigliani led Seward with 19 kills, while Sierra and Schmorantz both added 18 kills of their own. Freshman setter Laura De Pra<http://sewardsaints.com/sports/wvball/2018-19/bios/sertic_laura_sbuf> continues to pace the offense in record-fashion, coming away with 64 assists on the match. The assist total is the most assists in a four-set match and the second highest total assist mark is Seward history, trailing only Alex Droogsma’s 67 assists against Central Wyoming in 2006, which occurred in a five-set match. Defensively, three Lady Saints reached doubled-digit digs, with two of them eclipsing 20. Asia Jhun<http://sewardsaints.com/sports/wvball/2018-19/bios/jhun_asia_bcpt> came away with a career-high 10 digs, while Machado also finished with a career-high 28 digs. Schmorantz completed her third double-double of the season, finishing the match with 20 digs. 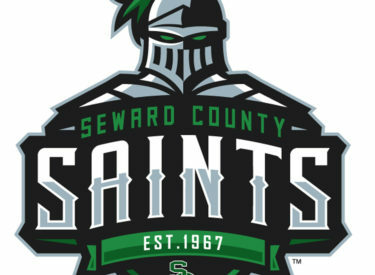 The rematch of the lone game that Seward County lost during the regular season a year ago turned into a blowout for the revenge seeking Lady Saints. Seward jumped out to an early 9-2 lead in the first set to assert their dominance from an early point in the match. The closest the Bruins could cut the deficit to was four points, as the Lady Saints ran away with a set one victory 25-15. Nathiellen Machado<http://sewardsaints.com/sports/wvball/2018-19/bios/machado_nathiellen_n626> was instrumental in the takedown, coming away with five service aces in the first set alone. The set one blowout wasn’t enough for the Lady Saints as Seward cruised to an 13-2 lead to start the second set. Tapigliani and Luz Sierra<http://sewardsaints.com/sports/wvball/2018-19/bios/sierra_luz_az6i> combined for 10 of the first 13 points for Seward. Hitting and blocking errors allowed the Bruins to cut into the deficit, making it 17-13, but the Lady Saints went on to win eight of the final eleven points to take a two-set advantage, 25-16. The third set proved to be the biggest challenge for the Lady Saints as Salt Lake tried to prove their No. 4 ranking. After Seward took a 6-4 lead to start the set, the Bruins took their first lead of the match at 9-7. The teams traded points until the Lady Saints tied the set at 18. Tapigiliani started a 5-1 run for the Lady Saints, forcing the Bruins to take a timeout as the match stood at 23-19. The Bruins allowed Seward to score just one more point before tying the set and forcing extra points. Neither team could gain an advantage until Dorianne Lebron<http://sewardsaints.com/sports/wvball/2018-19/bios/lebron_dorianne_kwhb> got a block to give the Lady Saints a 28-27 lead before Esmadar Tavares<http://sewardsaints.com/sports/wvball/2018-19/bios/tavares_esmadar_dmmi> finished the match with a kill. Tapigliani (15 kills) and Sierra (10 kills) led the Seward attack, both reaching double-digit kills. Sierra continued her efficient efforts, hitting .769 in the match. Laura De Pra<http://sewardsaints.com/sports/wvball/2018-19/bios/sertic_laura_sbuf> put the hitters in place, finishing with 33 assists as the Lady Saints hit a combined .386. The Lady Saints came away with 10 team blocks, led by Sierra and Lebron’s four blocks a piece. Machado (10 digs) was the lone Lady Saint to reached double-figure digs as Schmorantz came up one shy. It appeared that the Lady Saints could be in a tight contest on the first match on Saturday, leading by just one point through the first 19 points. However, starting with a Schmorantz kills, the Lady Saints opened up a 7-2 run to gain a six-point lead. From their it was all Seward, as the Lady Saints won 25-17. After losing the first two points to begin the second set, the Lady Saints went on a 7-0 run to take the lead. Seward extended their lead to double-digits following three consecutive Schmorantz kills during a 10-5 run, before eventually closing out the Coyotes with a 13-point margin of victory, 25-12. The second set beatdown set the tone for the third set, as the Lady Saints used a series of runs to put the Coyotes away and pick up the sweep. Leading by just three points midway through the set, the Lady Saints used a 7-0 run to take a commanding 21-11 lead before finishing the match with a 25-13 set three victory. Machado finished with seven service aces, the second most in a three-set match is Seward history. Tapigliani was the lone Lady Saints to reach double-digit kills, finishing with 12 on 19 total attempts. Schmorantz finished with eight, while Sierra and Lebron each earned six. Going up against the host school, the Lady Saints got out to a 7-3 lead to begin the first set, but the Coyotes quickly fought back into the set, tying it at 11. The Lady Saints kept the lead until Southern Nevada went on a quick 3-0 run to take an 18-17 lead and force a Seward timeout. The break in action flipped the momentum as the Lady Saints finished on an 8-4 run to win set one 25-22. It was another tough start in set two, as the Coyotes took the first two points before the Lady Saints went on a 6-2 run. After taking the lead, Seward pushed forward, stretching the advantage to nine points by the end of the set, winning 25-16 with a kill by Laura De Pra<http://sewardsaints.com/sports/wvball/2018-19/bios/sertic_laura_sbuf>. The momentum appeared to be in the favor of the Lady Saints as they jumped out to an early 3-0 lead in the third set, but that changed rapidly as the Coyotes scored five straight to take the lead. There was not panic from the Lady Saints, however, as they retook the lead midway through the match with a kill from Tapigliani. The teams battled until the match was tied at 18. A 4-2 run by the Lady Saints was all Seward needed to end the set, winning 25-22 on a Tapigliani service ace, completing the sweep. Tapigliani finished with a match high 16 kills, while Schmorantz picked up 13. The Lady Saints were paced by Laura De Pra<http://sewardsaints.com/sports/wvball/2018-19/bios/sertic_laura_sbuf>, who added 36 assists to her name. The Lady Saints will return to the Greenhouse on Wednesday (Sept. 19) when they host the Pratt Beavers inside the Greenhouse.